We are really grateful for all the support we receive from so many people. It’s you who arrange or participate in events who are helping to make a difference in our fight to find better treatments and a cure for NKH. If you are one of the many people who has helped us in the past – Thank you! If you are new to fundraising but would like to do something to help us -Welcome! There many ways in which you can help us – you can support an organised event or even host your own fundraising initiative, which can be anything that will create awareness or raise money. So whether you are looking to take part in anything from a bike ride, 10K, football match or spinathon to a dress-down day, charity ball or swimathon – we’d love you to get involved! If we can provide any support to help to publicise your event, please get in touch. Once your event has taken place, please share pictures and comments on our social media. It is quick and easy to create your own fundraising page online at My Donate and Just Giving – you can link the page to one of our events, or use it for your own event. You can find our Gift Aid Declaration Form here and find our Sponsorship & Gift Aid Declaration Form here. If you need to know how to pay in money you have raised, please refer to our ‘How to Donate’ page. If you would like any further support or if you have any queries, please get in touch. 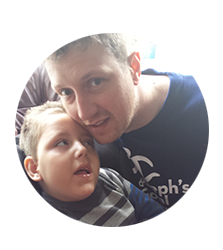 Any help or suggestions are welcomed, and any donations, however big or small, are much appreciated, and will contribute to helping us achieve Joseph’s Goal.